* National Health Expenditure Data for 2012. U.S. Department of Health and Human Services, Centers for Medicare and Medicaid Services Web site. Accessed at: www.cms.gov/Research-Statistics-Data-and-systems/Statistics-Trends-and-r… on March 31, 2016. 8 Citation: Nahin RL, Barnes PM, Stussman BJ. 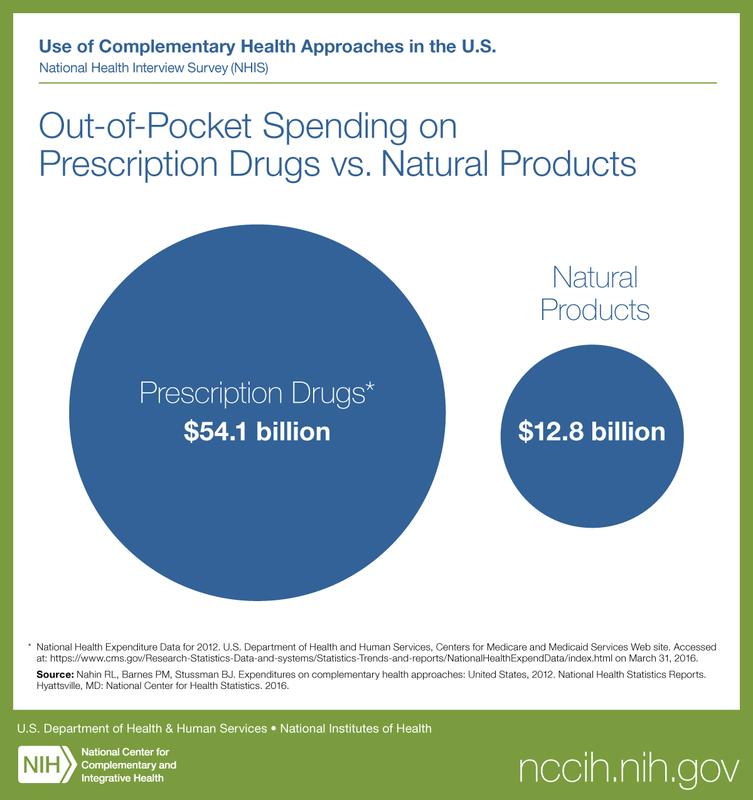 Expenditures on complementary health approaches: United States, 2012. (433KB PDF) National Health Statistics Reports. Hyattsville, MD: National Center for Health Statistics. 2016.